Location. 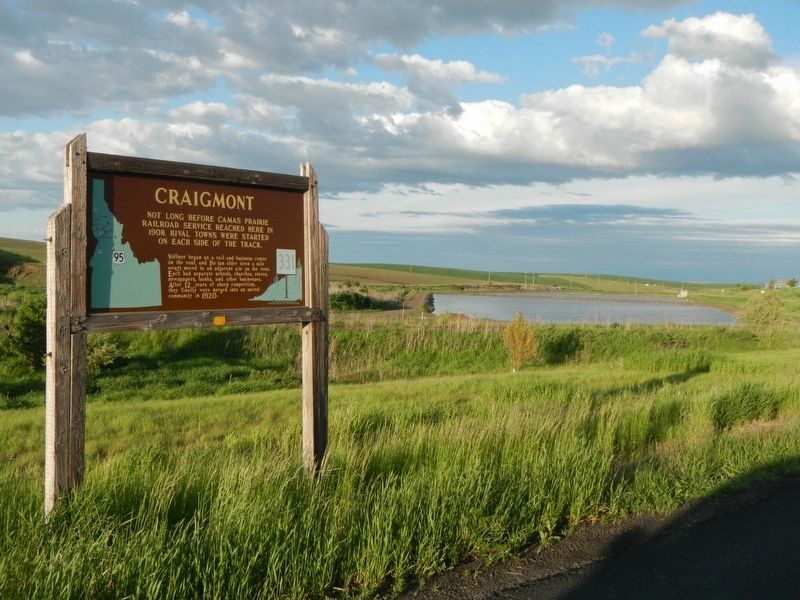 46° 13.896′ N, 116° 27.756′ W. Marker is in Craigmont, Idaho, in Lewis County. Marker is on U.S. 95 at milepost 272 near Business U.S. 95, on the right when traveling north. Touch for map. 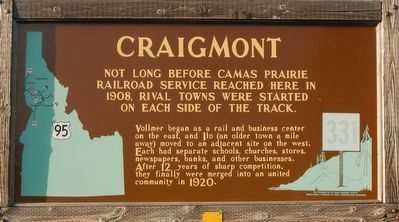 Marker is in this post office area: Craigmont ID 83523, United States of America. Touch for directions. (approx. 3.1 miles away); Lawyer's Canyon (approx. 3.1 miles away); Lewis and Clark (approx. 3.1 miles away); Railroad Tunnels (approx. 9½ miles away). More about this marker. This marker is a duplicate of a marker located in the City Park. Credits. This page was last revised on August 6, 2018. This page originally submitted on August 6, 2018, by Barry Swackhamer of San Jose, California. This page has been viewed 53 times since then and 12 times this year. Photos: 1, 2. submitted on August 6, 2018, by Barry Swackhamer of San Jose, California.